The human brain is an important organ just like the heart, and it needs to be taken care of as well. Even till date, many people still assume that humans don't have control of what goes on above the neck, which is not true. In fact, over 60% of humans still believe Alzheimer's disease (a form of cognitive decline) is just another natural occurrence when people get older. Fortunately, that is not true as well. Alzheimer's is a disease and not an inevitable condition that happens along with aging. The good news is that you can play an active role in reducing your risk of cognitive issues, be it Alzheimer's or other problems that arises as you age. You can begin to take charge of such roles now, whatever your starting point. Preventing Alzheimer's disease naturally can become a reality if you adopt this four important and simple habits. You can walk, dance or simply do anything that will keep your body moving. Engaging in physical activities enables your body to clear up a substance known as amyloid, which is believed to accumulate and "gunk up" the brains of people with Alzheimer's disease. Amyloid can start accumulating in your brain up to a decade or two before the symptoms start. The only thing that can lower amyloid in the brain us exercise. You should aim to get at least 20 to 30 minutes of purposeful activity in most days of the week. This simply means you should get involved in exercises that increases your heart beat. Thinking in a new or deeper way can help boost your mental prowess. For instance, talking about the key themes in a movie rather than just rehashing the plot counts as thinking deeply, because it requires reasoning and attention. Feeling engaged in varieties and being challenged all helps to build a healthier mind. Another thing is that simple executing the same rush-rush routine on a daily basis squanders your mental energy and deprives your brain from making stronger, and more essential connections. 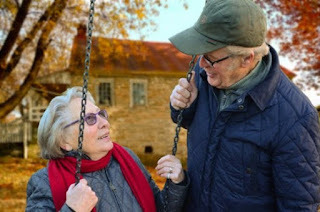 These strengthened connections are a resource that your brain can use if the main pathway gets weakened by aging or clogged up later as a result of plaques that form with dementia. Even though your daily schedule is fixed and you can't likely change it, you can aim to think differently and add some brain-healthy pauses to your day. Getting yourself seriously busy by doing more, more, and more is not always helpful. The more information your take in, the more shallowly you think. Giving yourself some minutes of rest can quite some of the mental noise that is getting in the way of the thoughts that is valuable to your brain. In all your dongs, more often you should step away from what you are doing and walk around to clear your head. Sleep time is the period your brain does its housekeeping. During bed time, it feels as if there is a janitor inside your brain that cleans up some toxic by-products that may be a precursor ti amyloid. You should simply change the way you think about bed time. Reframe your hours of bed time and make is a priority or a must-do, like other appointments in your schedule. All those healthy moves you do make to keep your heart and body in shape, your brain loves them too. In other words, what is good for your heart is also good for your brain. It is important you note that the risk factors for Alzheimer's disease are similar to those for heart. They include high blood pressure, high cholesterol levels, obesity, and diabetes. Therefore checkmating all these risk factors means you are also helping to keep your Alzheimer's risk in check. A heart-healthy eating pattern us associated with a reduced risk of cognitive decline. You should eat foods such as whole grains, fruits and vegetables, nuts, and fish. adopting all these healthy lifestyle can go a long way in preventing Alzheimer's disease.